Sheldon Rocklin and Maxine Harris’s film Joseph Campbell’s Sukhavati: A Mythic Journey is a cinematic mediation on the archetypal, fundamentally human nature of myth, drawn from lectures of the late Joseph Campbell. In this audio companion to that exploration, the Joseph Campbell Foundation has assembled a selection of audio recordings from those lectures and others—many never before released—that expand on and explore the concepts that Campbell touches on in the film. 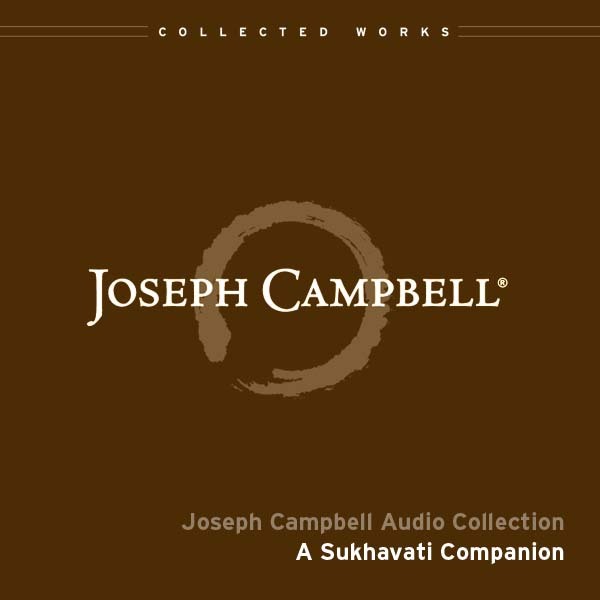 In A Sukhavati Companion, Joseph Campbell explains the universal mythic images that are clothed in the forms of the culture from which they emerge, and introduces the listener to an on-going discourse on the universal themes, a perennial philosophy dating back over three thousand years. Campbell points to the factors that caused a shift from the visual and active references of earlier traditions, and to the the underlying psychological issues still at play today. He traces the origins of our contemporary crisis in the West to a failure of the primary aspect of mythology, that of reconciling us as individuals with our biology, our societies and the universe around us.